In Klaus’ words: “I have not had much success in talking to friends who are conservative, Republican, or otherwise anti-government (the Red persuasion). In thinking about my failures, I realize that part of the time it was my fault for lack of adequate “psychic preparation” for the conversation, and part of the time it was because my conversation partner and I didn’t have enough of a common footing for our conversation. Non-Fiction Readers Book Discussion Group. Usually meets on the 2nd Sunday of each month. This meeting is focused on books, magazine articles, podcasts, and other published information of interest to Humanists. New discussion participants always welcomed! Please join us at the Huntsville Public Library on Monroe Street in Huntsville, room A/B (to the right of the lobby). No regular meeting – Library is closed for Easter. However, if you are looking for secular companionship on Easter, Travis Hardin invites you to an off-list Monty Python Review at his apartment at 1 p.m.
After a leisurely late lunch, we’ll view (and sing along with?) videos of famous songs and scenes including The Galaxy Song, Every Sperm is Sacred, and Always Look on the Bright Side of Life – the latter particularly appropriate for Easter, as it was sung by Brian while he was being crucified. Brian was a character born in the stable adjacent to Jesus who spends his life being mistaken for a messiah in the 1979 Monty Python’s Life of Brian. Only clips, not whole movies, will be offered. Bring your favorite to share on Flash Drive or the internet link, or other entertainment fellow humanists might like. Trav will make a main dish, and there will be deviled eggs, a dessert, and cold drinks. Attendees are welcome to bring more. Space is limited to nine guests, so please RSVP on Meetup or by phone to Travis at 683-8038. Directions will be sent to you when you respond. There are two local Meetups devoted to learning about and practicing specific philosophies. One is the Epicurean Friends of Huntsville, and the other is the Stoic Fellowship of Huntsville. Meetup membership is required to get information. The Humanists of North Alabama discussion group as a closed FaceBook group to talk about Humanism in Alabama. Let us know if you’d like an invite. If you received this email from a friend and want to be added to the distribution list, send an email to us at our new organization email list: humanistsofnal@gmail.com. Suggestions for events, meeting venues, topics are always welcome! Humanists of North Alabama is an official Chapter of the American Humanist Association. Membership in the AHA is strongly encouraged! The first virtual AHA Conference will come to us from 5 universities nationwide over three days. Please see the FAQ at the link. We’ll schedule group viewings locally in Huntsville and will be looking for home hosts with nice big computer screens. The initial newsletter of Indivisible District 5 of North Alabama. Kudos to the Madison County Democrats, who have invited Rep. Brooks to a town hall on Saturday, April 8, 2-4 pm at the main library auditorium! The room has been reserved, deposits have been paid, the invitation has been submitted, and the invitation graphic is in process. Put it on your calendar now. There WILL be a town hall, with or without Mo. To Begin the World Over Again — May 14, 21, 28. Civil forfeiture is dead, says the US Supreme Court, but it will continue to writhe and bite in Alabama. That’s my guess. Curtailing civil forfeiture is a focus of Alabama Arise which has the support of Humanists of North Alabama through our representative Stan Brockway,who proposed a focus on that issue to Arise last fall. This American Life Episode 247 (Sept 17, 3003), Act III. In-depth reporting on terrorism; transformation of a Canadian teenager into a terrorist, etc. Dividing Texas into 5 states! 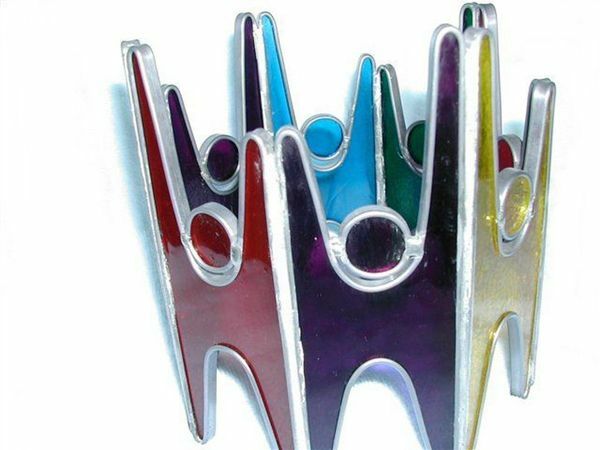 Amsterdam Declaration 2002 is a statement of the fundamental principles of modern Humanism passed unanimously by the General Assembly of the International Humanist and Ethical Union (IHEU) at the 50th anniversary World Humanist Congress in 2002. If you are not familiar with the outlines of humanism, please check out the other humanist manifestos. You can start in Wikipedia. "Today the god hypothesis has ceased to be scientifically tenable...and its abandonment often brings a deep sense of relief... Once our relief at jettisoning an outdated piece of ideological furniture is over, [then] we must construct something to take its place." Our Meetup Link Reserve your space here!